Catalog Home > Educational Insights, Inc. It's a number and counting bone-anza! This preschool counting bone-anza is a summer day trip to a dog beach! Shelby buried bones in the sand and needs your help collecting them. Help her dig up the most bones and you win! 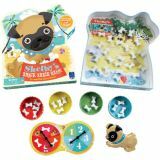 Kids take turns using the adorable Shelby Squeezer to fill their dog bowl with bones. Sounds simple, but be careful—spin a sneaky seagull, and you'll lose some bones or get sidetracked chewing a flip flop and miss your turn! 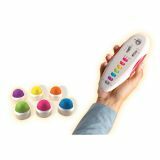 Add a fun spin to your classroom activities! Use these three giant 11" spinners to turn your whiteboard into a custom game or activity for the whole class. Draw a circle, write in content, attach a spinner, and play! Includes giant arrow, giant pencil, and giant pointing hand. 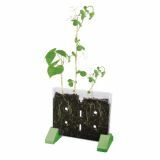 See plant science in action from roots to leaves. It's interactive learning fun, with an all-new look ! 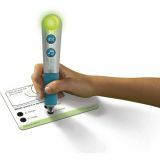 Press the sleek, silver Hot Dots® Talking Pen to an answer dot on any Hot Dots or Hot Dots Jr. question for instantaneous visual and audio feedback! Scratchy, slippery, silky or soft? Explore a whole bagful of textures! Your forest friends are hungry and they need your help! 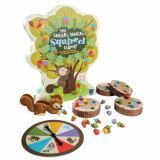 Spin the spinner, squeeze the matching colored acorn with your Squirrel Squeezer, and place it into your log. Be the first to fill your log with delicious acorns and you win! You could also spin “pick an acorn,” “steal an acorn,” or “lose an acorn,” so be strategic, little squirrel! 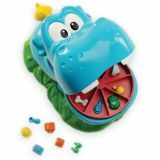 Feed the need for fun with Uh-Oh Hippo!, the hilarious “what did Hugo the Hippo eat?” memory game for preschoolers. Place the munchies inside of Hugo's mouth for feeding time and see if you can remember what he ate. Then close his mouth—when it opens again, one piece is missing! Do you remember what it is? Shout it out loud and press on Gary, the bird on Hugo's tail, to see what pops out in this adorable memory game. Best-selling Wireless Eggspert is faster than ever before! The flashing, beeping, buzzing, anywhere, anytime game system now features 2.4gHz for the most reliable transmissions. 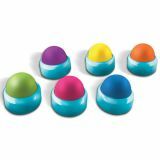 Includes 6 extra pods, 1 of each color. For Wireless Eggspert (EI-7881, sold separately). 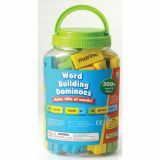 Includes 200+ color-coded dominoes featuring root words, prefixes and suffixes. Packaged in a handy storage bucket. Buckle up and get in the fast lane to fun with Word on the Street®, the hilarious tug of words! 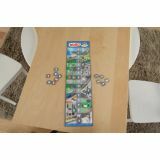 Hit the road and speed to victory in this fast-paced wordsmith challenge game for up to eight players. 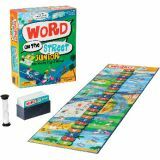 Word on the Street® Jr.
Buckle up and bring the fun of Word on the Street® to the entire family with Word on the Street® Junior! Easy-to-learn super speedy game play keeps kids in the fast lane to vocabulary victory!